3fer is three for one! 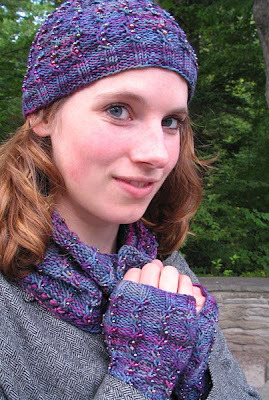 One skein of Schaefer Yarn's Nichole will make you all three items in this pattern, the cap, the mitts, that's right folks, and even the cowl... better than ginsu knives, I'm telling ya! 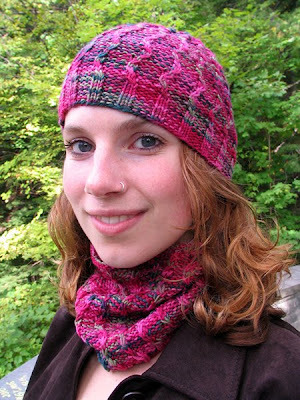 Using beads is optional, you can make all three items with beads, or without, or make the cap with beads for your mom, the mitts without for yourself, and the cowl for your kid's fourth grade teacher. 3fer is based on an easy slip stitch pattern that is created by wrapping the yarn twice around the right hand ndl and then cabling it on the next row. 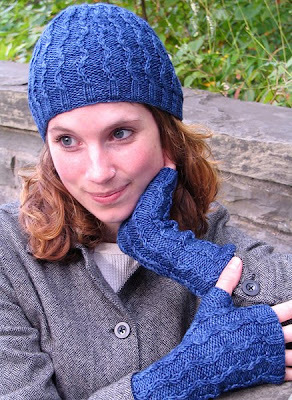 Directions are included in the pattern for cabling without a cable needle, which is SO easy! 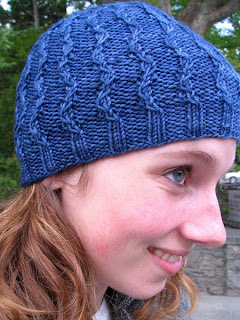 As with all Nelkin Designs patterns the stitch pattern is both charted and written out. I have to tell you that hilarity ensued when naming 3fer, as I brainstormed with friends and family some rather risque names emerged... do you want me to share? You can purchase 3fer here or here. P.S. There is still one more day left to the giveaway, feel free to join in! Love the Brickhouse and the 3fer. Beautiful. Thanks for the 3fer and the brick house! (both video and pattern!) 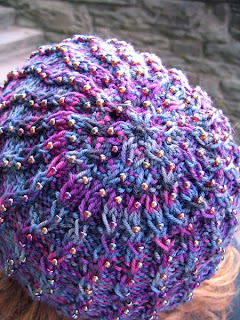 I really like the 3fer with the beads - pretty pretty!